This is not about Alice in Wonderland.. It's all about how we live in her wonderland ! 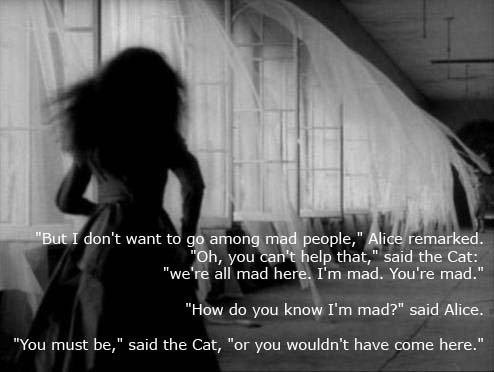 You can being Alice... Lets jump.. not falling ! This item comes with a large range of prepared typographic stylings such as headings, lists, links etc. This is a dark grey box text. Fusce in metus at enim porta lacinia vitae a arcu. Sed sed lacus nulla mollis porta quis. This is a sample of an italic text. Consequat scelerisque. Fusce sed lectus at arcu mollis accumsan at nec nisi porta quis sit amet. This is a sample of a bold text. Aliquam sodales nisi nec felis hendrerit ac eleifend lectus feugiat scelerisque. Maecenas eget eros lorem, nec pellentesque lacus. Aenean dui orci, rhoncus sit amet tristique eu, tristique sed odio. Praesent ut interdum elit. Sed in sem mauris. Aenean a commodo mi. Praesent augue lacus. Aliquam elementum felis quis felis consequat scelerisque. Fusce sed lectus at arcu mollis accumsan at nec nisi. Aliquam pretium mollis fringilla. Nunc in leo urna, eget varius metus. Aliquam sodales nisi. This is a black box, you can use it to highligh some content. Sed sed lacus nulla, et lacinia risus. Phasellus vitae sapien ac leo mollis porta quis sit amet nisi. Mauris hendrerit, metus cursus accumsan tincidunt.Quisque vestibulum nisi non nunc blandit placerat. Mauris facilisis, risus ut lobortis posuere, diam lacus congue lorem, ut condimentum ligula est vel orci. Donec interdum lacus at velit varius gravida. Nulla ipsum risus. This is a paragraph with a favorite icon. Donec tortor sem, venenatis vitae lobortis ac, cursus vel lacus. This is a paragraph with a help icon. Donec tortor sem, venenatis vitae lobortis ac, cursus vel lacus. This is a paragraph with a mail icon. Donec tortor sem, venenatis vitae lobortis ac, cursus vel lacus. This is a paragraph with a print icon. Donec tortor sem, venenatis vitae lobortis ac, cursus vel lacus. Maecenas eget eros lorem, nec pellentesque lacus. Aenean dui orci, rhoncus sit amet tristique eu, tristique sed odio. Praesent ut interdum elit. Maecenas imperdiet, nibh vitae rutrum vulputate, lorem sem condimentum. Aliquam elementum felis quis felis consequat scelerisque. Fusce sed lectus at arcu mollis accumsan at nec nisi. Aliquam pretium mollis fringilla. Vestibulum tempor facilisis malesuada. Anda sedang membaca artikel 生日快乐我的爱 - happy birthday manda. Artikel ini dapat ditemukan dengan url http://alicewonderlandstories.blogspot.com/2010/06/this-page-is-dedicated-to-woman-who.html. Anda boleh menyebarluaskan atau mengcopy artikel-artikel di alice in wonderland ini jika memang bermanfaat bagi bagi orang lain, tapi jangan lupa untuk mencantumkan link sumbernya... terima kasih ! Jangan lupa klik tombol facebook LIKE di bawah ini ya. WHO MAKES ALICE'S SHOES ?